Kona Diary 2016 Part 2. Week 5 Update. Fourth Time’s The Charm? Week 5 update. Fourth Time’s The Charm? This is a bit unexpected. Typically, it runs more in reverse. Running comes back the most quickly and swimming feels the worst. Biking feels okay, at least if it’s not longer than about an hour. This reinforces my own sense that I was more sore (muscular fatigue) than tired (systemic fatigue) after the race in Tremblant, all of which, I think, bodes well. Swimming is always my biggest fear with backing up races close together, as that sort of overall fatigue from acute load really saps my swim. To already feel pretty good swimming is a big boost mentally. Overall, I was also surprised by the sense of relief at having qualified. I didn’t realize how much the desire to qualify – and the fear of not qualifying – had weighed on my mind until the box was checked, and I found myself where I had planned all season to be: in a position to put myself on the start line with a chance to do well. Lately, I’ve had quite a lot of positive thoughts, which is surprising given that I’m generally a “glass is half empty” or, at least, “the glass is twice as large as it should be” type of person. I don’t think of myself as a pessimist; just a pragmatist. But lately I’ve been – for me – quite optimistic. One thing I’ve thought about a lot is that this is my fourth trip to Kona. My first Ironman win came in 2009 on my fourth try at the distance. And I don’t think this is entirely coincidental. I think it takes me about four tries to get something right. Jill was the fourth serious relationship I had been in before we got married. I’ve had three coaches as a triathlete, but this is my fourth coaching relationship since I’m quite a different athlete now than 2005-2008, and Joel is a different coach, and this is certainly the best athlete-coach relationship I’ve been in. For me, I seem to need to go through the following stages before finding success: naïveté, overconfidence, and under-confidence. In my Ironman racing, this manifested itself in the following ways. Ironman Canada 2007, where I “signed up” (begged for entry) literally three days before the race, I was totally naive. I had no idea what to expect of the distance and was appropriately deferential and had a pretty good result finishing 5th, two minutes off the podium, after a strong ride and a remarkably steady run (2min positive split by half on a course that is notably slower on the return trip). 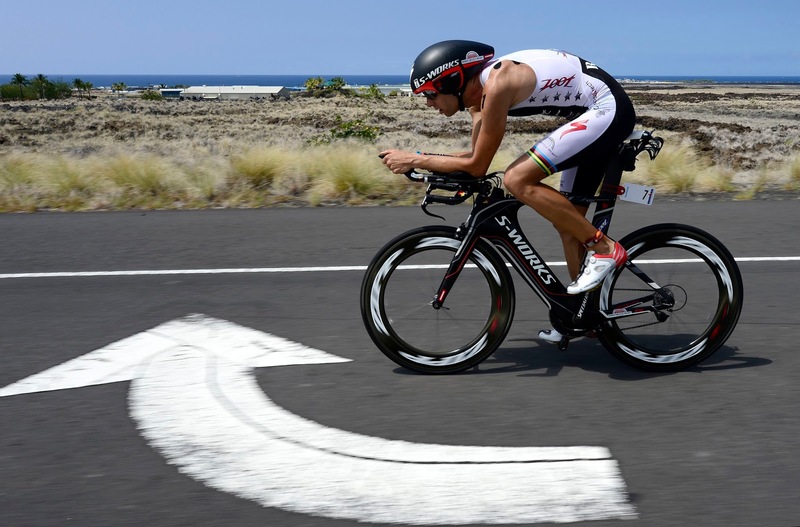 In 2012 at my first Kona, I was naive in a different way. I didn’t respect my body enough and was naive to think I could back up IMNYC – 6 weeks – Leadman 250 – 3 weeks – Kona. I had a disastrous swim – see above point about acute load and overall fatigue affecting my swim – but salvaged it with a good ride and a decent run to record my best finish (so far) with a solid 13th place. Ironman Arizona (April) 2008, I raced overconfident. I had been sick and struggled at altitude in Flagstaff leading into the race, but insane weather conditions – 35mph winds and extreme heat – ended up favoring me. The leaders for most of the day – TJ Tollakson and James Bonney – were coming back to me in the back half of the run, and I just sort of thought the win would come to me. I never really decided to win, and as a result, Joseph Major stormed through all of us to take the day. Kona 2013 was a race I never should have started. A run in with a car a month or so out from the race, a nagging groin injury the whole year, and just no results that showed I was ready to race since Melbourne made me wonder what I was doing. But I “hoped” for a good result, and that things would come together on that day, which of course they didn’t. At the time, I thought I overheated during the swim, but the reality was that my day was written to end poorly long in advance of stepping into Kailua Bay. Ironman Canada 2009, I had a lot of things going for me. I lived in Penticton, and I had more familiarity and specific time on the course than anyone else in the race. I had the luxury of no travel, sleeping in my own bed the night before the race, and walking from my house to the start line. But ultimately, I think what these things contributed to more than anything else was a belief that I could win the race. In some other similarities, the last time I flatted in races was in June of that year – at both Quassy and Boise 70.3 (in the rain!) – but then bounced back with a good race prior to IMC at the Vancouver Half. The mishaps in Quassy and Boise humbled me but also motivated me, and the win – and overall performance – in Vancouver made me feel like I was in a good place and also restored my faith in my equipment and my process of preparing my gear. I was not naive, I was not overconfident, but I also had belief in myself. All of which came together in what I still think is probably my best every performance over 140.6 miles. Things were certainly simpler then, but ultimately, not much has really changed. I train hard, prepare well, and execute intelligently. That was true for a long time until it wasn’t. But now I believe it to be true again. And for those reasons, more than any others, I’m looking forward to my fourth shot at Kona. On a related-but-not note, I did an interview with Coach John Newsom for the fantastic IMTalk podcast. John and Bevan are two of the most knowledgeable guys in the sport, so if they want to talk to you, it’s a sign you’re doing something right. I did a couple appearances on the show between 2009 and early 2013, so it’s great to be back on. You can listen here. ← Kona Diary 2016. Presented by MATCHSPORTS. I've been listening to IMtalk since they started, all of them, and it is still my favourite podcast after all these years. I would love if you wrote a post on your race bike, the thought behind it, and, especially, how well the 1x setup works for you.